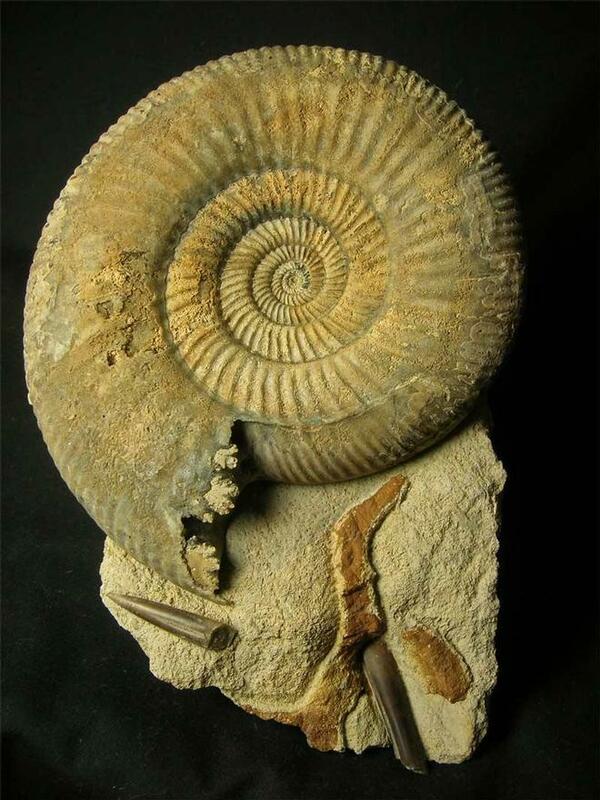 This fantastic assemblage is a snapshot in time from a 167 million year old sea floor. 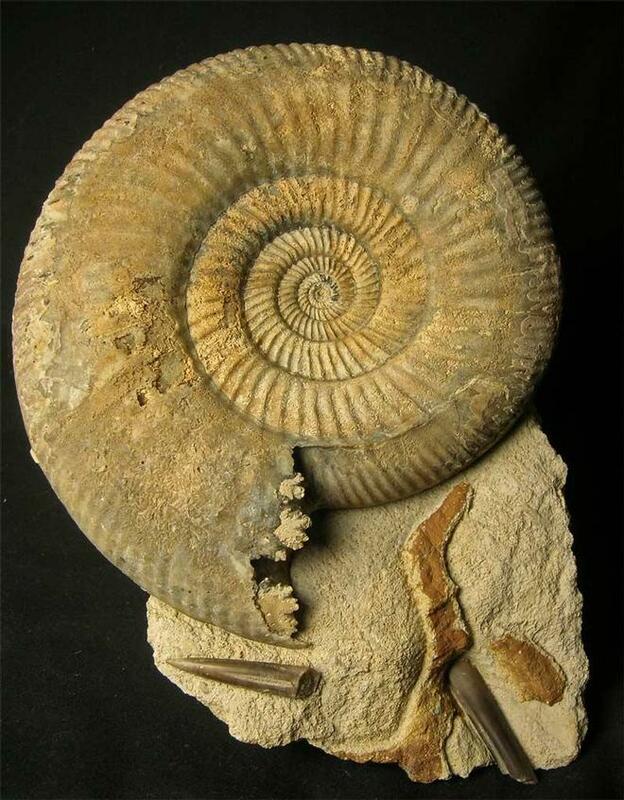 Apart from the very well preserved ammonite there are two belemnites (Passaloteuthis paxillosus)and an extremely rare example of a lobster burrow which has been fully prepared. A trace fossil. 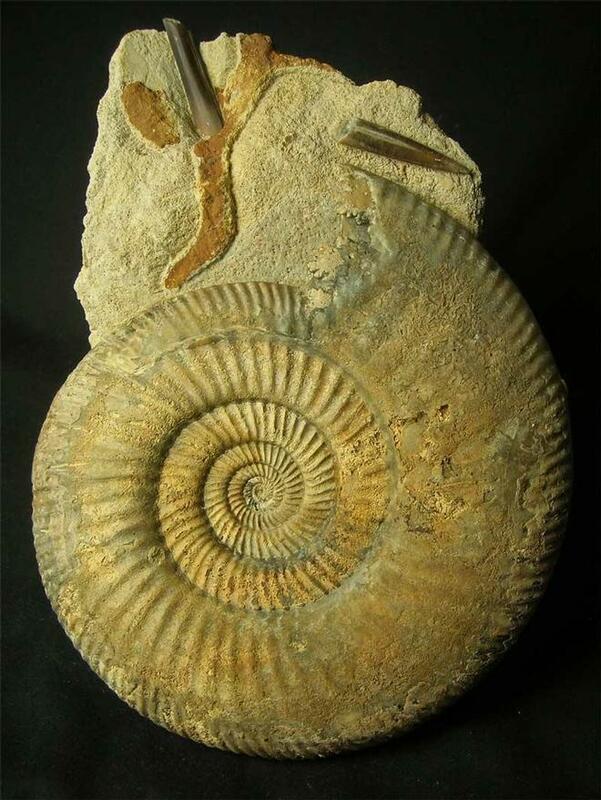 The ammonite is heavily ribbed and displays its "Cats Paws". Fossils of this superior quality from this famous Oolithic locality are very scarse. The last fossils to be collected from this temporary exposure was over 14 years ago. 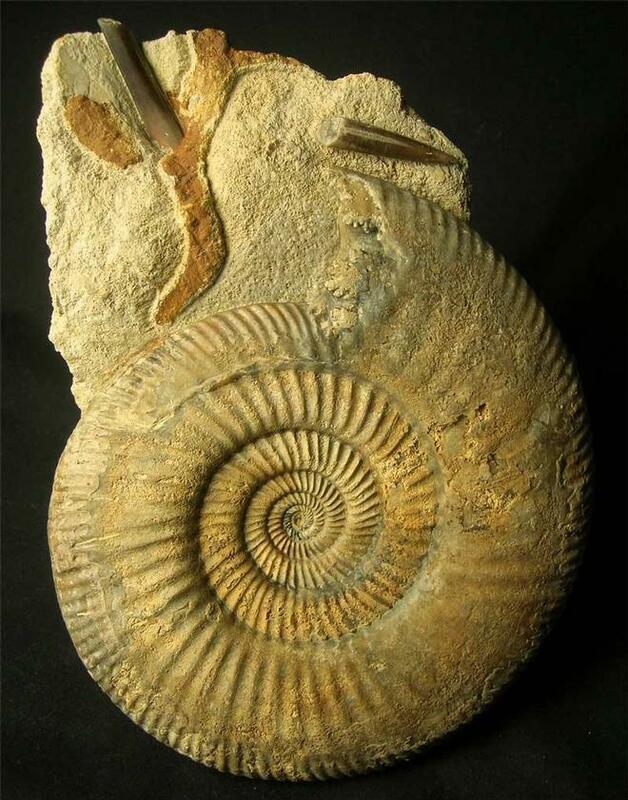 A totally unique fossil for the serious collector.